During winter there are days when I just don’t feel like wearing a hat. Maybe I have a business meeting later that day and I don’t want hat hair. Or maybe I don’t have one that goes with my outfit. Whatever the reason, I need something to keep me warm other than my winter hats. That’s why I love a good crochet headband. 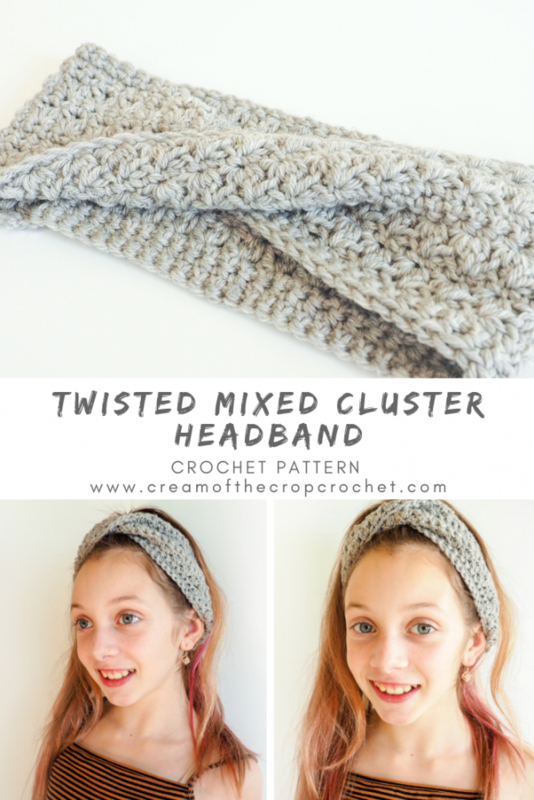 The Twist Mixed Cluster Headband is a beautiful headband that will keep my ears warm and my hair looking good. It’s got a beautiful little twist in the front of the headband and uses decorative stitchwork to create a unique design. It alternates rows of the cluster stitch and single crochets to create what looks like a detailed ribbed design. And it’s made in Cascade 220 Superwash Merino which is 100% wool and 100% machine washable. It’s so easy to take care of this headband thanks to the yarn. And it’s really lightweight and soft so it won’t cause any irritation to your forehead. 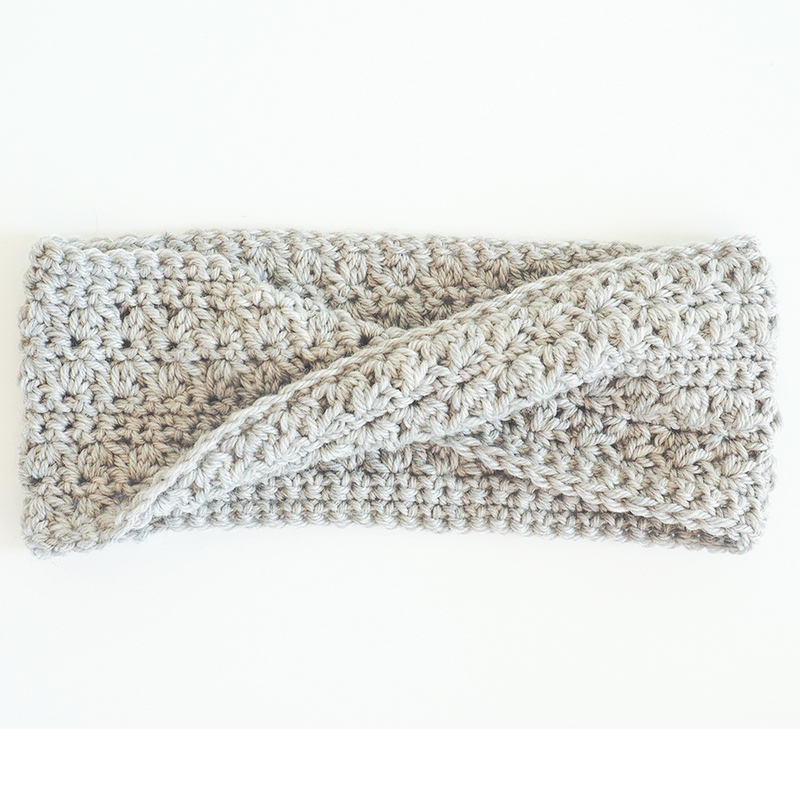 You can get all the yarn needed for this project and a digital pdf pattern in the crochet kit on Makerdrop.com. It’s a fast project that looked really detailed and the yarn emphasizes the stitchwork. Row 3: Repeat row 1. Row 4-6: Ch 1, turn. Sc into each st across. Row 7: Repeat row 1. Row 8: Ch 1, turn. Sc into each st across. Row 9: Repeat row 1. Row 10-12: Ch 1, turn. Sc into each st across. Cut Yarn and tie off leaving a long tail. Lay the project flat and twist once, sew ends of the headband together. Sew in all ends. 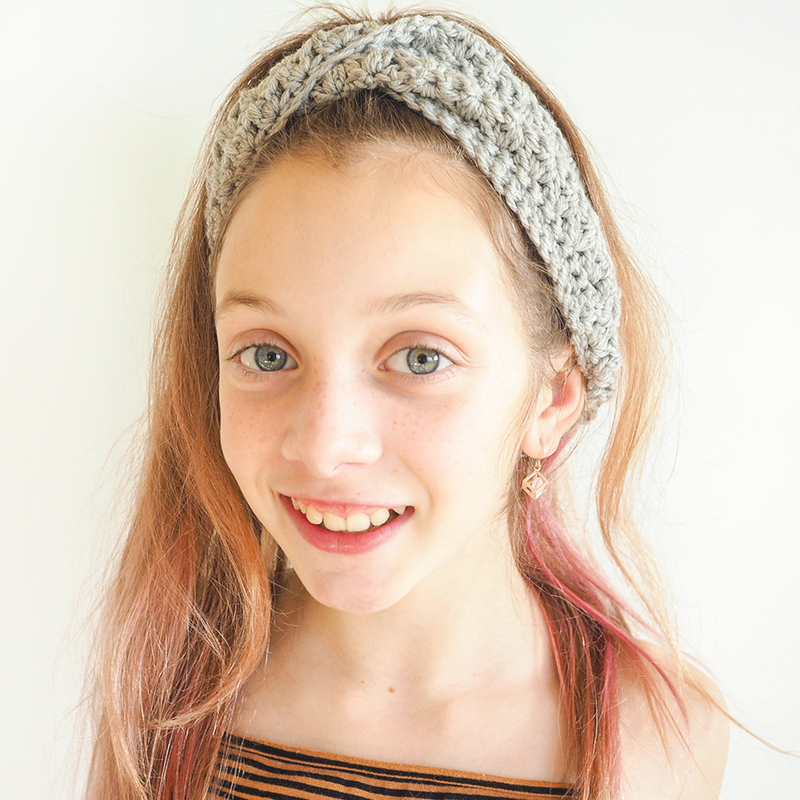 This crochet headband is such a fun and beautiful project to make. Make it as a gift for your teenage niece or make it to replace those bulky winter hats you have. 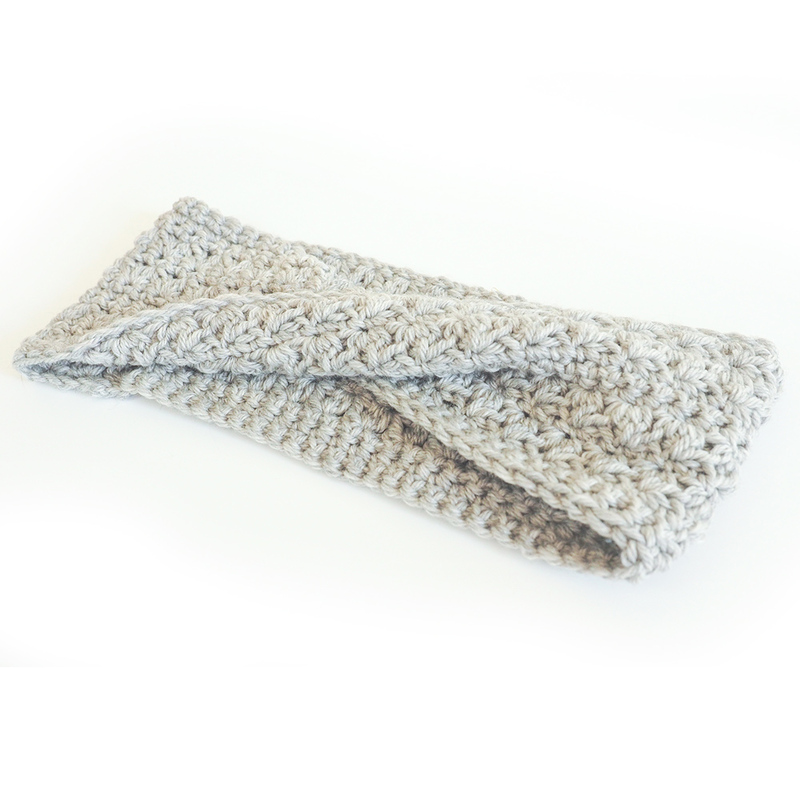 Headbands are a great way to avoid hat hair and keep warm this winter. Plus they go with everything!